Blondie and Brownie: Pie Party for My Birthday! A few weeks ago, a conversation began on Twitter involving Gluten-Free Girl aka Shauna Ahern. The end result of this conversation is that today, my birthday, is now a Pie Party day! 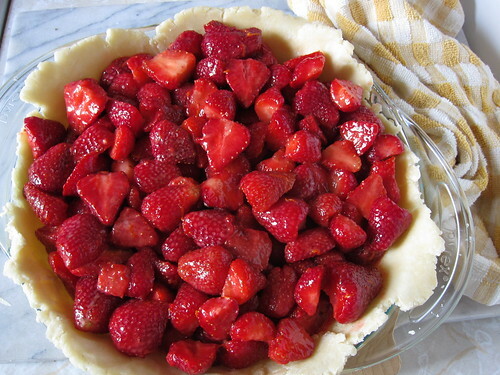 I'm participating with the my most recently baked pie, the Strawberry Pie from the June/July Saveur. I made this pie last month for a party with a few friends. Once I read the recipe in the print magazine, I knew I had to make it-strawberries are some of my most favoritest things in the whole wide world. 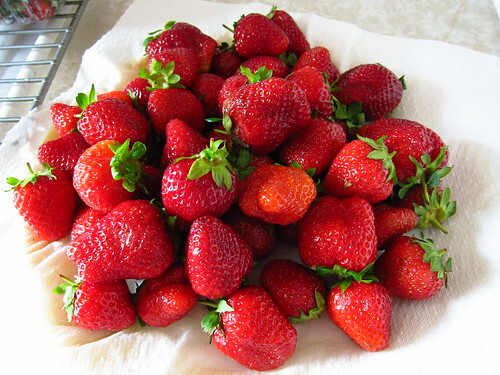 Procuring the strawberries and letting them marinate was easy enough, the dough and lattice are always much harder. It took about 20 minutes to roll out the individual discs, I have to credit my adjustable rolling pin for helping me yet again. The bottom dough actually fit my 9.5" pan, it was just a matter of getting the lattice right. Do you notice the mess up in the lattice? Luckily I did right before sticking this in the oven. 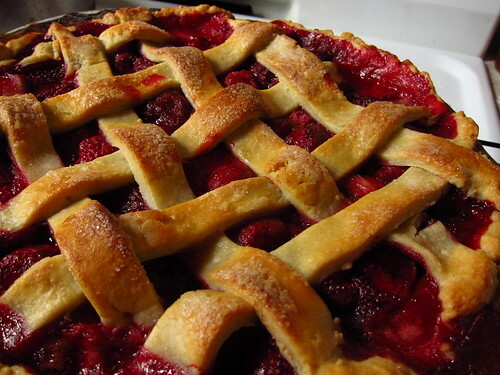 And voilà, beautiful, delicious pie. Yes, I will continue the pie celebration tonight with my very own ice cream pie from Sylas & Maddy's. Yay for birthdays! My birthday is a pie party as well--love pie! Yours looks delicious. Happy birthday!!! Happy Birthday, cute pie party idea. Happy Birthday! Your pie looks amazing!! For some reason I assumed that, because your inspiration struck while twittering with Gluten-Free Girl, the pie wouldn't contain flour. Obviously I was wrong lol. 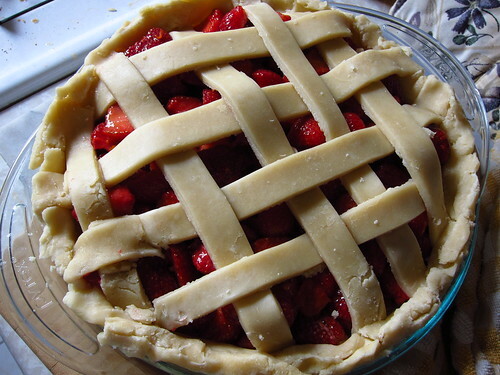 Either way, pie looks delicious and fresh. Thanks for the birthday wishes! It was a DELICIOUS pie, the kind where you rip the page out of the magazine and hide it somewhere safe! 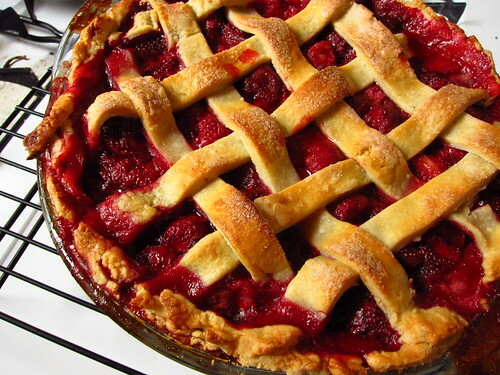 @Sherm-I wish I could create a pie without gluten! My celiac friend would be more than happy to taste test.